MANILA - The only Filipino on the Indonesian island of Sulawesi is safe after a powerful earthquake and tsunami left at least 420 dead there, the Department of Foreign Affairs (DFA) said Saturday. 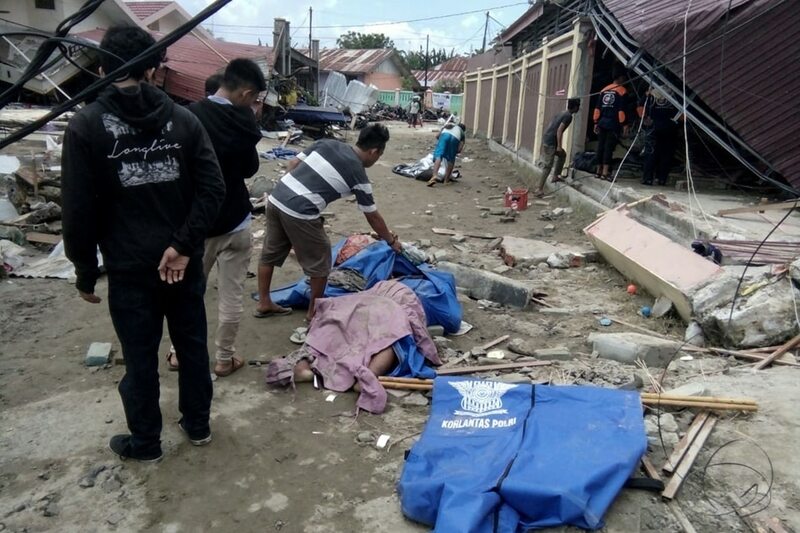 Indonesian authorities warned casualties in the provincial capital of Palu and the neighboring city of Donggala were "increasing" as news arrived from remote areas cut off by the 7.5-magnitude earthquake and 5-feet high tsunami. The sole Filipino there is a detainee serving his sentence at the Lapas Penitentiary. He was safe after Friday's twin disasters, the DFA said in a statement quoting Ambassador to Indonesia Leehiong Wee. The DFA also expressed its condolences to Indonesia, adding that Manila is ready to extend assistance to Jakarta. “We grieve with our Indonesian brothers and sisters and stand hand in hand with them in praying for all of those who lost their lives in this tragedy,” Foreign Affairs Secretary Alan Peter Cayetano said in the same statement. At least 540 people had been badly injured, an official of Jakarta's national disaster agency said, as hospitals struggled to cope with the influx of casualties. Indonesia is one of the most disaster-prone nations on earth. It lies on the Pacific "Ring of Fire", where tectonic plates collide and many of the world's volcanic eruptions and earthquakes occur.